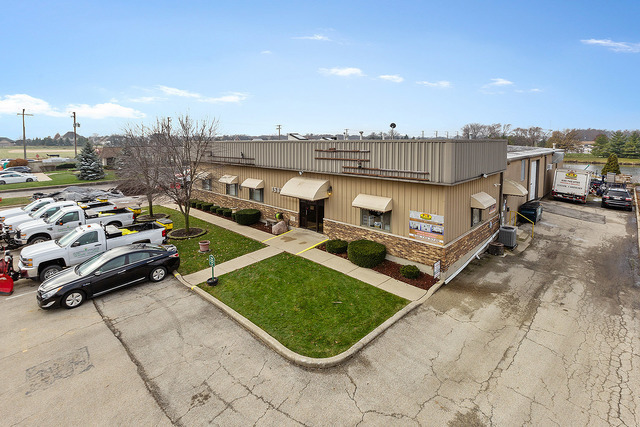 Rare Commercial Business Opportunity in Homer Glen. Approximately 10,000 sq ft commercial building. Fully occupied with two tenants and owner office space. Bay 1 & 3 is on MTM, Bay 2 is on lease through 4/2020. Three total bays, two store front offices/showrooms, three 12 ft over head doors (1 per bay) and exterior parking. Bay 1 Sq Ft = 2500 plus additional 500 sq ft of 2nd floor storage & offices. Bay 2 Sq Ft = 2400. Bay 3 Sq Ft= 1875 . Bay 1 & 3 are occupied by the same tenant. Numerous possibilities with this space or a perfect investment opportunity. Right off of 159th Street with quick access to Interstate.